Toon Boom provides you with a module specifically for playing back and viewing your animated projects once they have been rendered out into image sequences. 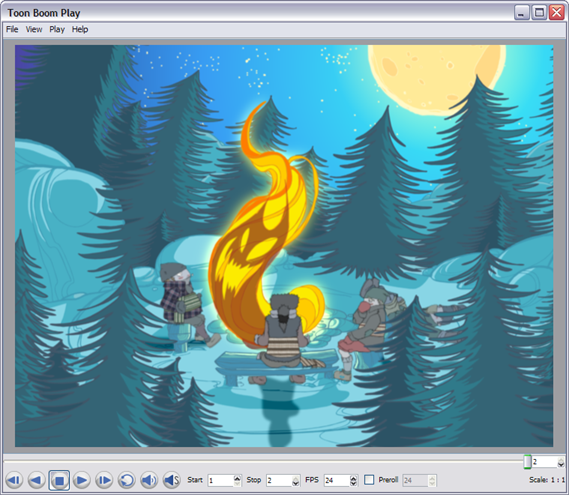 The module is known as Toon Boom Play. Toon Boom Play opens directly from your program menu to load your final render and it is also used when playing back a scene with effects in Animate Pro.